Good Choice Reading: Book Sale / Judy Blume! / Graphic Novels / Hunger Games!! Book Sale / Judy Blume! / Graphic Novels / Hunger Games!! LAST DAY! SMASHWORDS E-BOOK SALE! 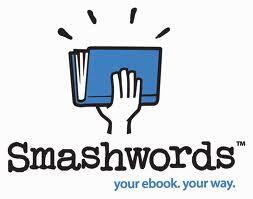 Smashwords Annual Read An E-Book Week will be coming to a close today - so make sure you get your shopping on! The discount codes will only work on participating books, so keep a look out! RANDOM HOUSE TO RELEASE JUDY BLUME E-BOOKS! Last Wednesday (the 7th), Random House Children's Books announced that they will be publishing 13 of beloved author, Judy Blume's classic books for young readers as E-books! The new ebook editions will be available beginning March 21st in the U.S., Canada and wherever Random House books are sold. Judy Blume stated, "This is an exciting day for me. I'm happy that my readers, many of whom have been patiently waiting, will now be able to choose which format works best for them to enjoy their favorite books." What's Your Favorite Judy Blume Book? MELISSA DE LA CRUZ RELEASES GRAPHIC NOVEL! 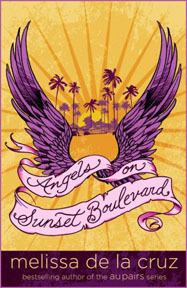 Another great announcement last Wednesday (the 7th): Sea Lion Books announced the publication of the graphic novel edition of Angels on Sunset Boulevard. In a statement, Sea Lion books Exec. Vice President said, "[We] are thrilled to have the opportunity to present this critically acclaimed bestselling novel in graphic format, where it will reach an even larger audience of teen readers." PREPARE YOURSELVES! THE HUNGER GAMES OFFICIAL RED CARPET PREMIERE LIVE STREAM ON YAHOO MOVIES! What? Yahoo! Movies and Lionsgate will present the official live stream of the red carpet World Premiere of The Hunger Games! If you're like most of us and can't get anywhere near the red carpet that night, you can still watch all of the excitement LIVE on Yahoo! Movies. There will be A-list interviews and you can start submitting your questions now via twitter or facebook (#HungerGameLIVE). 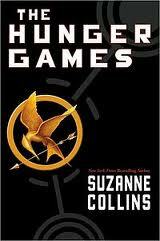 You will also have the chance to win Hunger Games merchandise: like posters, books, and soundtracks. When? On Monday, March 12th at 5:30pm (PT). I will DEFINITELY be watching THG red carpet! I won't be watching the stream live, as I'm in a different tome zone and it'll be night over here, but I can't wait for the movie! I have so many favorites of Judy Blume! One is "Super Fudge", which I read in 3rd grade. And the other is "Are you there God, it's me Margaret?" I love her books.